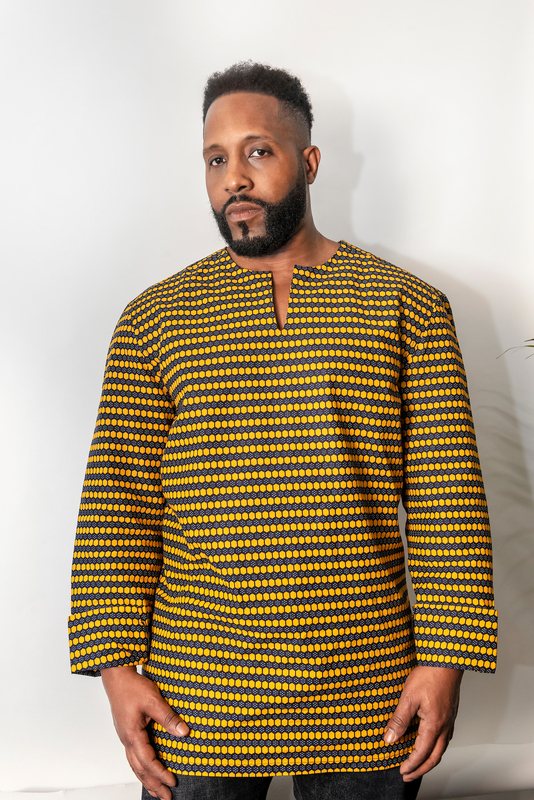 Long sleeve dashiki-style shirt in 100% cotton wax print. Hidden side zipper. Shirt can be worn with sleeves rolled-up (as shown) or as a button down. Made in Burkina Faso. 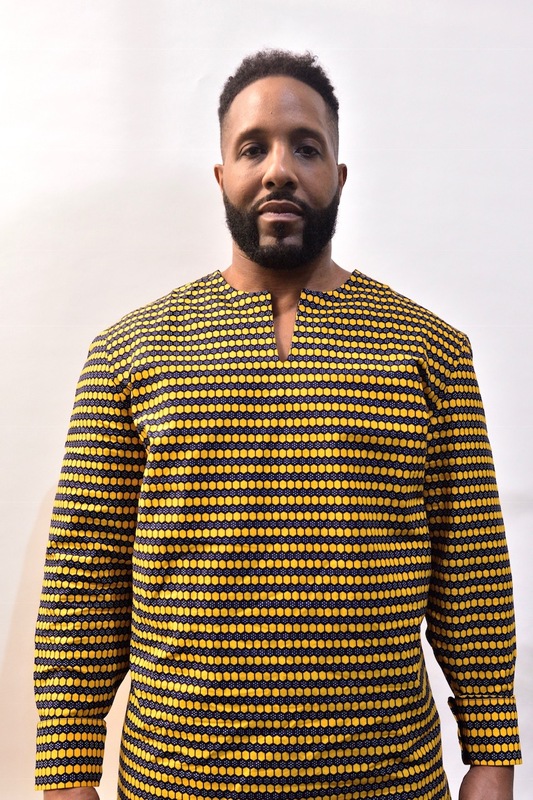 The model is 5’10, 220 pounds, 36waist and is wearing a XLarge.